Designed to provide ultra-high torque in a compact package, the new worm gearbox drives from Astrosyn International Technology produce high output torques of up to 17 Nm. The rugged gearboxes are made of die-cast zinc and incorporate case hardened steel gears with synthetic friction bearings. 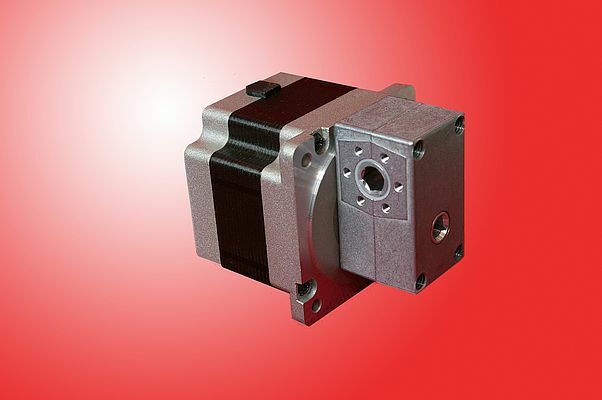 When fitted to NEMA size 23 or 34 hybrid stepper motors the combined powertrain generates high holding torque through a thin-profile worm gearbox. The unit provides a compact for widespread applications in medical technology, machine drives and office automation. Worm gearbox input and output can be modified to customer requirements, with gear ratios from 1:1 to 30:1. A self-locking capability is also incorporated into the gearboxes. Threaded mounting holes are provided on the gearbox mounting face and a range of options is available to customise the output shaft.